Peugeot is gearing up to unveil several production model hybrids and a gas-electric concept vehicle at the Frankfurt Motor Show next month, according to Autoblog. 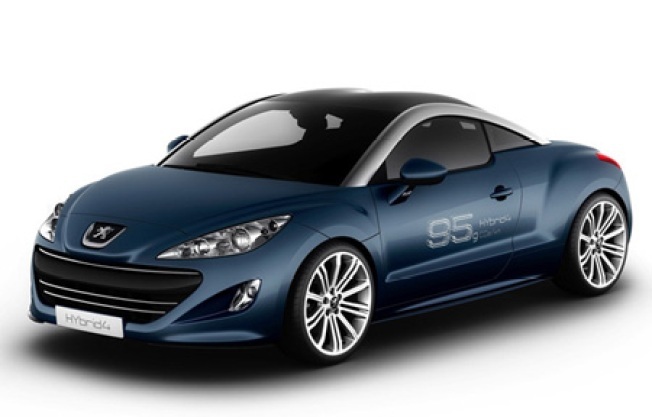 The RCZ sports coupe, 3008 HYBrid4, and Wi-Fi-enabled 5008 minivan will debut, along with a concept version of the RCZ called the RCZ HYBrid4 (pictured). It features a parallel through-the-road system that has an internal combustion powertrain at one end and a battery and electric motor on the opposite side. The 3008 HYBrid4 will launch in 2011. The RCZ will appear next spring, but with a 200 horsepower, 1.6-liter four cylinder instead. The 3008 crossover is projected to have CO2 emissions of just 99 g/km, while the RCZ would come in at just 95 g/km, according to the report--good numbers that are likely a result of the automaker's ongoing commitment to reduce CO2 emissions.